From the author of the “big-hearted…inspiring” (Vogue) New York Times bestseller Kabul Beauty School comes a fiction debut as compelling as real life: the story of a remarkable coffee shop in the heart of Kabul, and the women who meet there–each with a story and a secret that will lead them all to an extraordinary friendship. Sunny is an energetic American living in Kabul, whose pride and joy is the coffee shop she runs for expats–and their stories that filter through her daily life. Yazmina is a young woman from a remote village; when she’s kidnapped and left on a city street, pregnant and alone, Sunny gives her a home–but all Yazmina wants is to find a way to rescue her sister from the same fate. 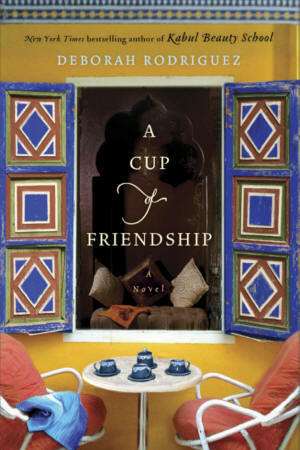 Into the coffee shop–and Yazmina’s and Sunny’s lives–come Candace, a wealthy American looking for a way to help but who ends up needing help herself; Isabel, a determined journalist whose past secret might keep her from the biggest story of her life; and Halajan, the den mother whose long-hidden love affair breaks all the rules–and threatens to turn her own son against her. As these women gather together and discover that there’s more to one another than meets the eye, they’ll form a bond that will change not only their lives, but the lives of an entire country.